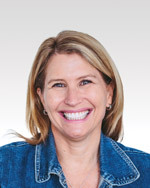 Diane Sweeney is the author of Student-Centered Coaching: The Moves (Corwin, 2016), Student-Centered Coaching: A Guide for K-8 Coaches and Principals (Corwin, 2011) and Student-Centered Coaching at the Secondary Level (Corwin, 2013). Each of these books is grounded in the simple but powerful premise that coaching can be designed to more directly impact student learning. Her first book, Learning Along the Way (Stenhouse, 2003) shares the story of how an urban elementary school transformed itself to become a learning community. Diane spends her time speaking and consulting for schools and educational organizations across the country. She is also an instructor for the University of Wisconsin, Madison. When she isn’t working in schools, she loves to spend time outside with her family in Denver, Colorado.